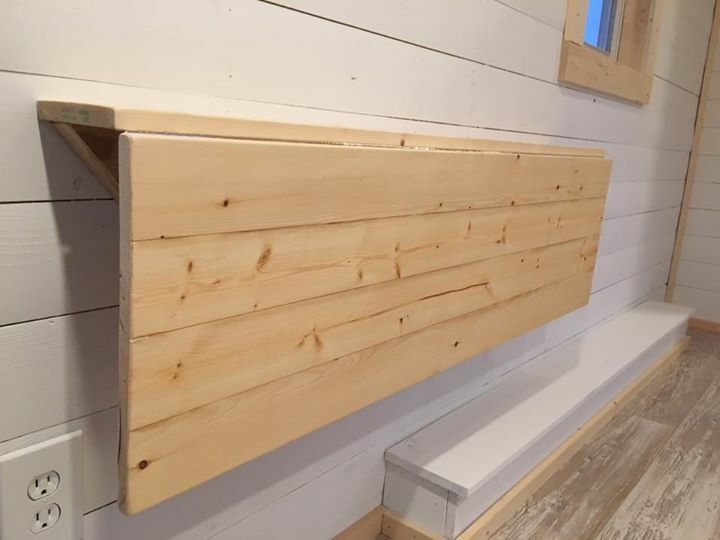 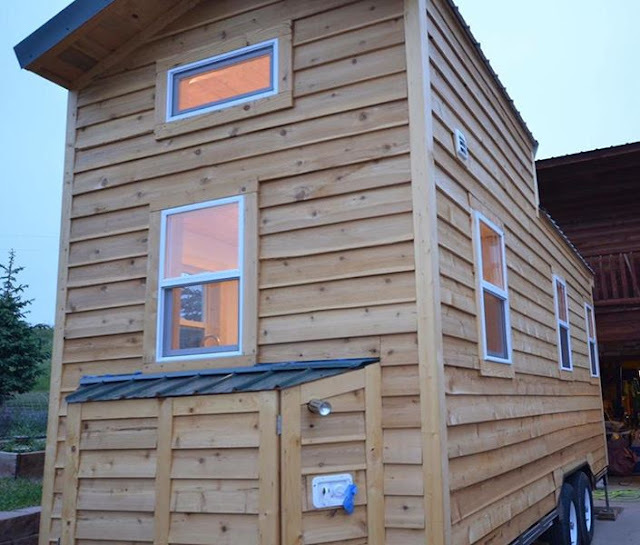 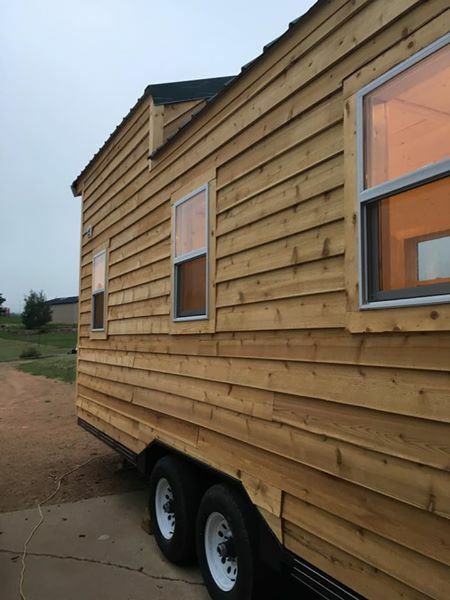 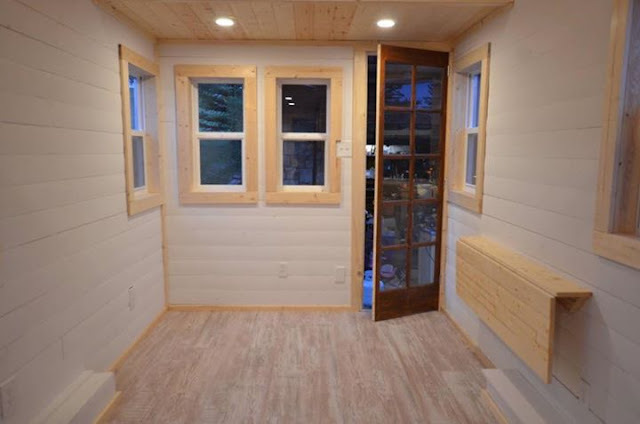 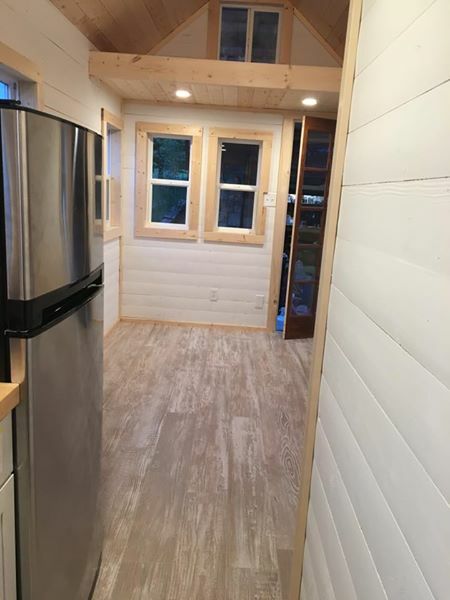 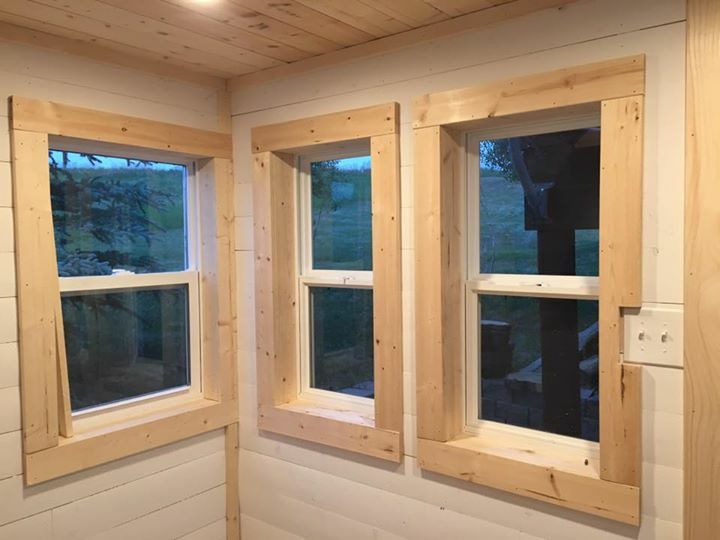 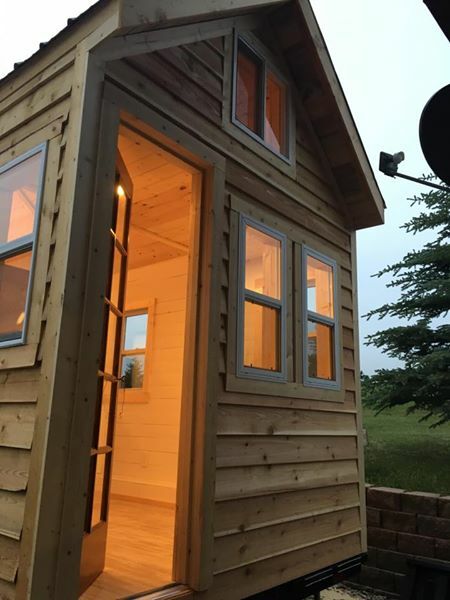 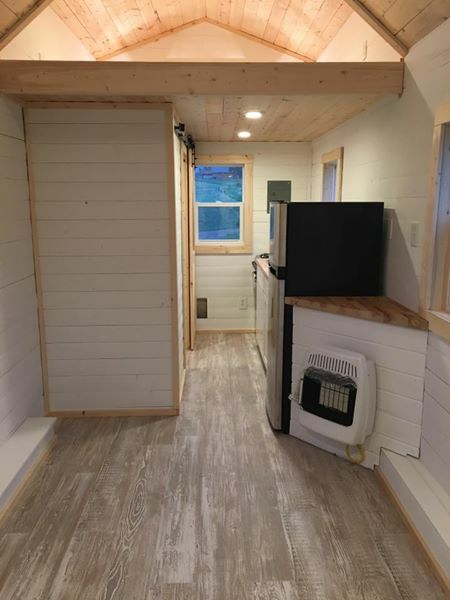 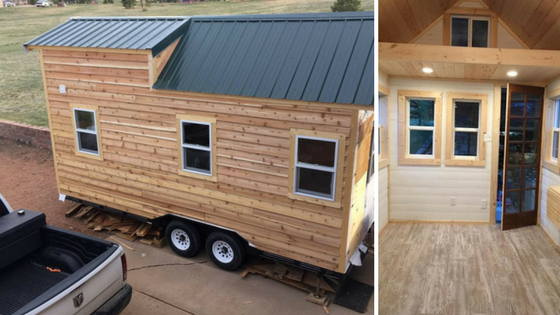 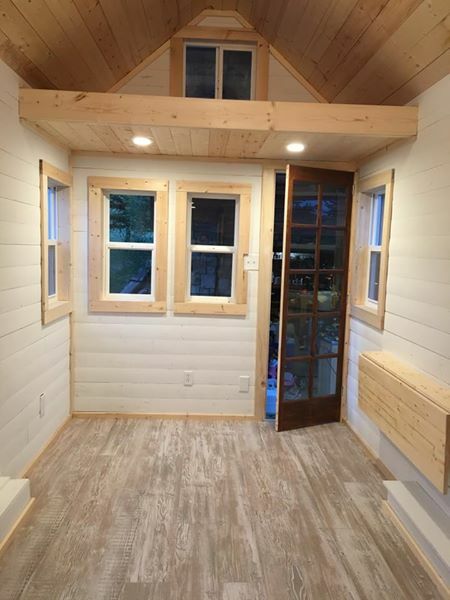 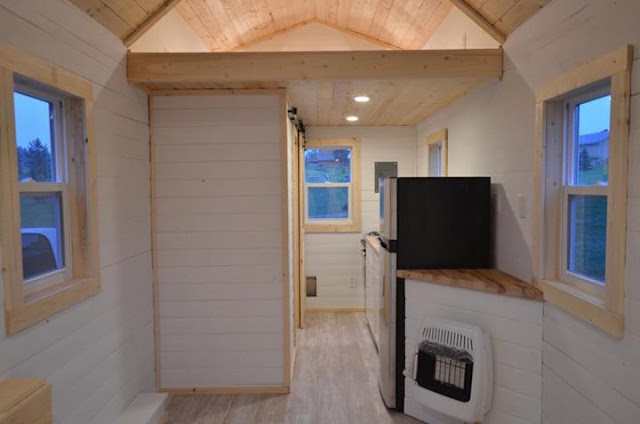 This Colorado tiny home, built by SoCo Tiny Homes, measures 8’6’’ x 20’. When entering the tiny home, you will first walk into the main living area. 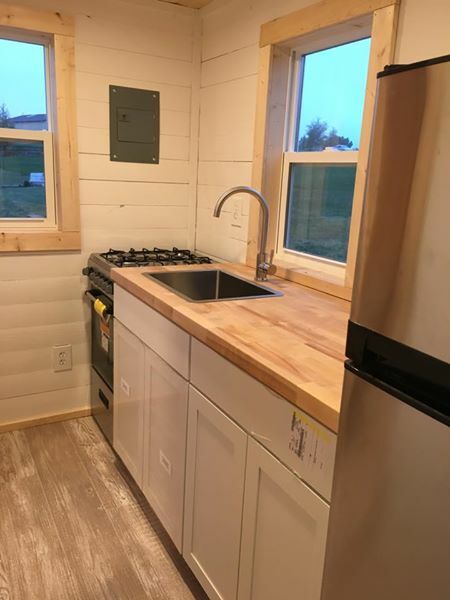 Here, you will see a fold down table on your left and an open space on your right. 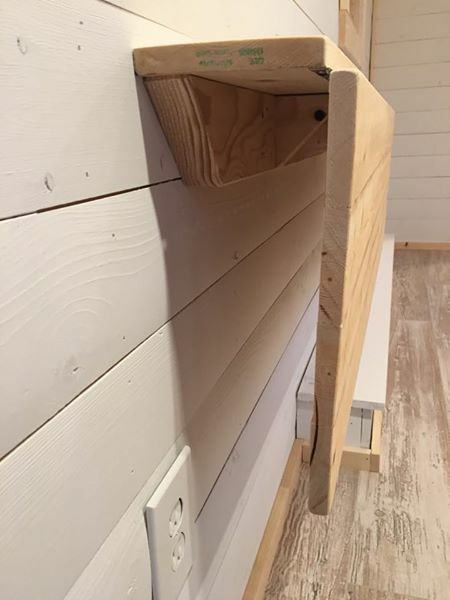 The fold down table can double as a dining table or desk, and upon request, a custom bench can be installed along the opposite wall of the living area. 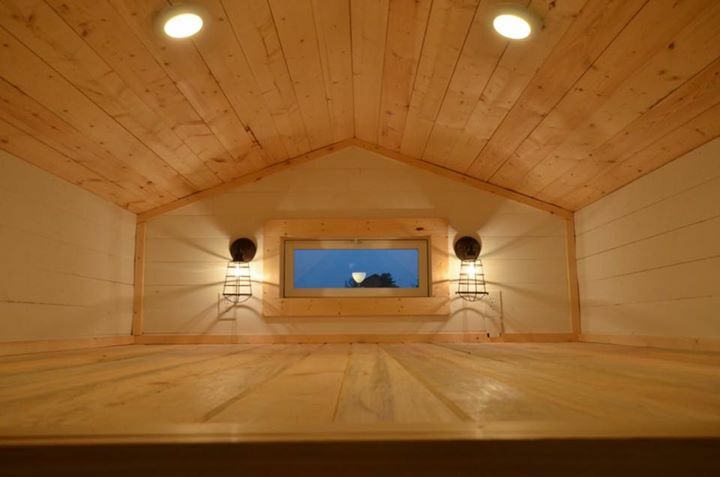 Above the living area is a lofted space where either a single person could sleep or personal items can be stored. 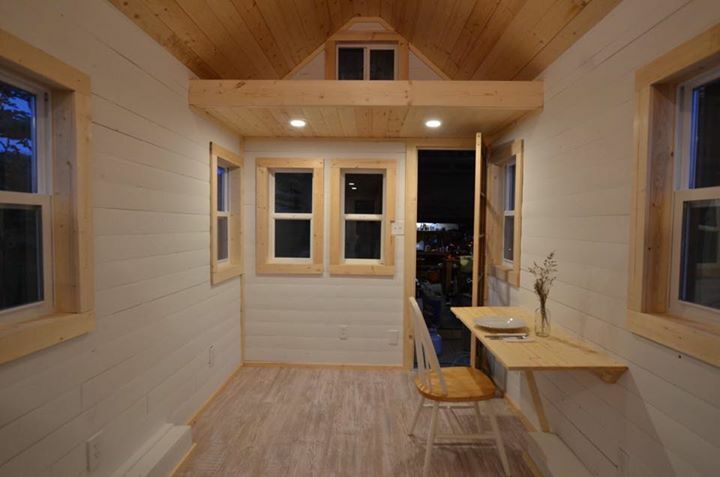 The master-sleeping loft is on the opposite side of the house above the kitchen. 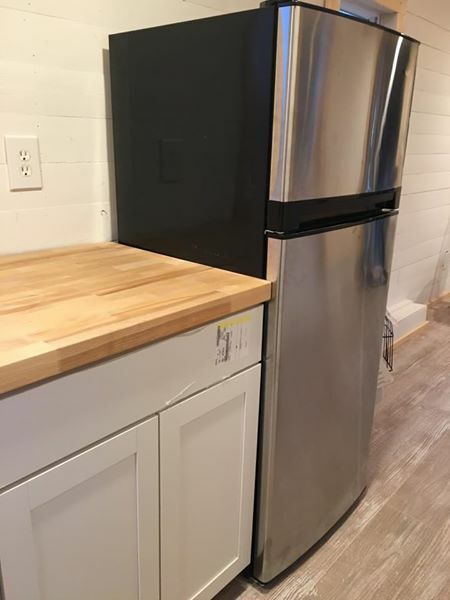 If you cross the living area to enter the kitchen, you will encounter a stainless steel refrigerator/freezer, butcher-block counter top with white cabinetry, stainless steel sink and stainless steel range/oven. 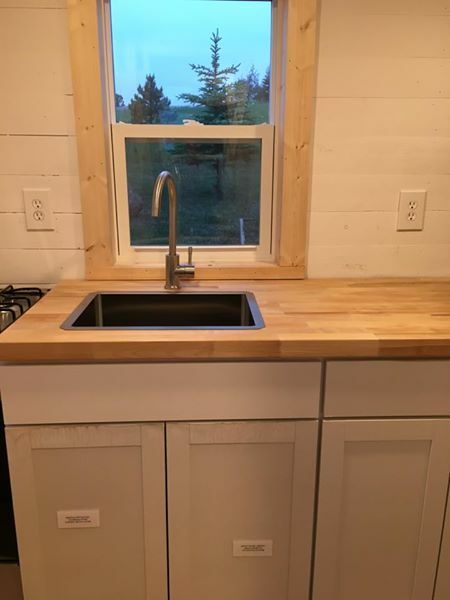 Across from the kitchen is the bathroom, and upon entering, you will face a sink. 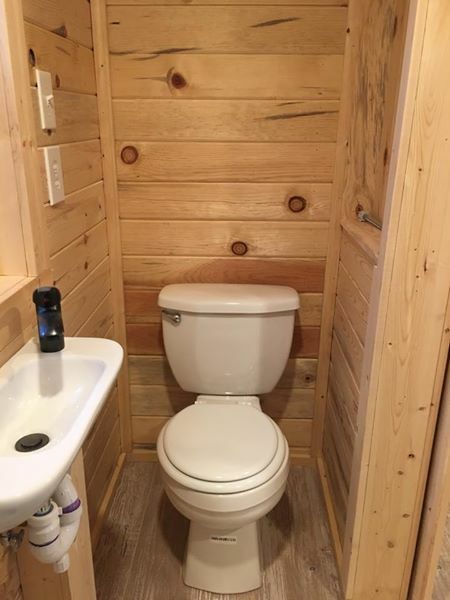 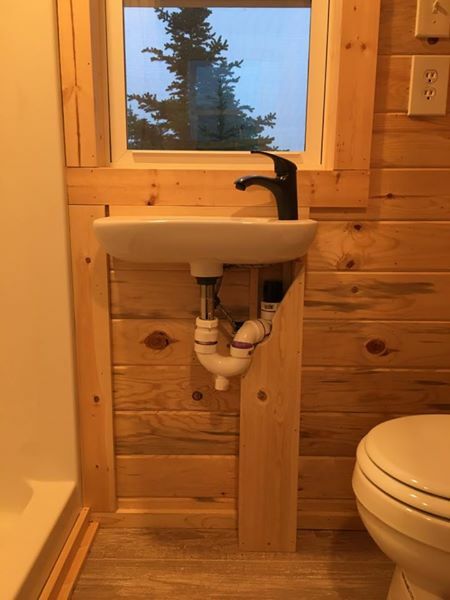 To the right of the sink is a standard toilet, and to the left of the sink is a full-sized shower. 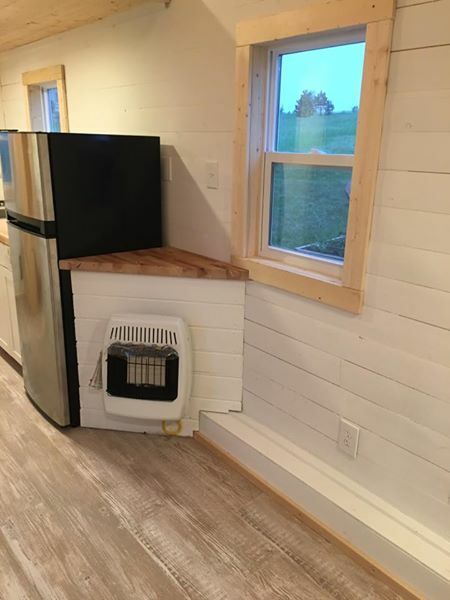 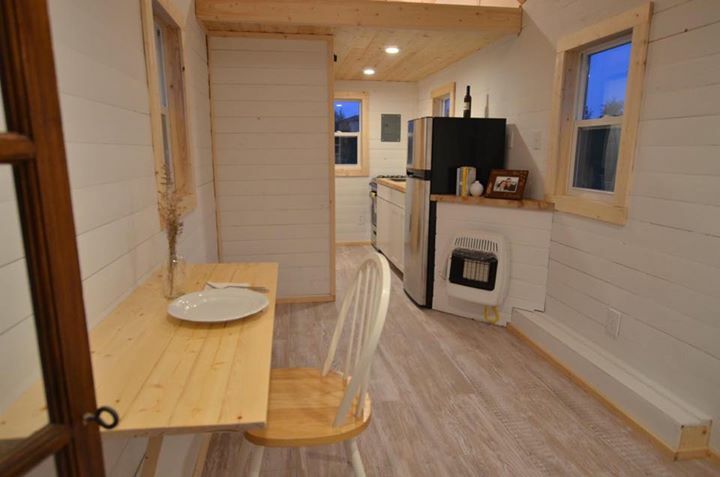 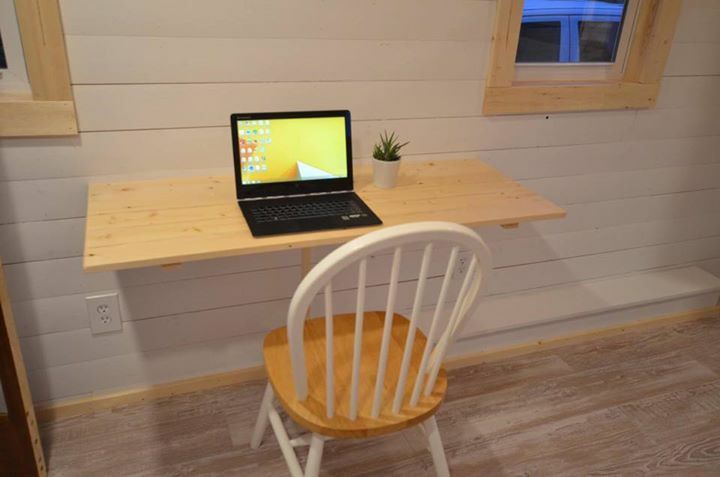 The price of this tiny home is $39,900 (modular deck available for an extra $1050)! 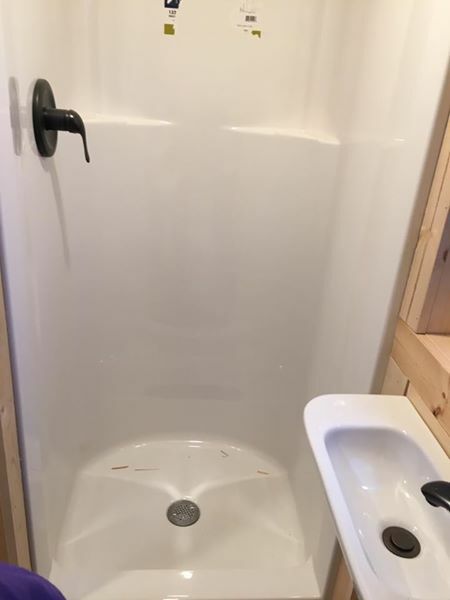 For more information on this home, view its listing on Facebook here.